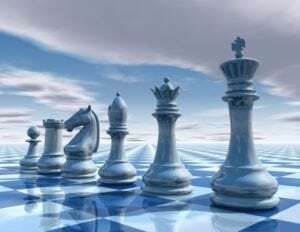 While we’re still in the opening phase of the hybrid multi-cloud chess game, I would like to take a look ahead at what enterprises embracing the cloud can expect in what promises to be a complex endgame posing many new technical challenges for IT managers. Ensuring application and network performance looms as a critical concern in environments where a new generation of IT software and computing infrastructure spans multiple geographically distributed data centers and a mix of public and private networks, including SD-WAN overlays. In hybrid multi-cloud environments, DevOps teams will utilize a hybrid of public cloud services and private cloud infrastructure. Given the diversity of applications and differing requirements, they will typically leverage multiple services provided by some combination of Amazon, Google and Microsoft. In addition to popular SaaS applications such as Salesforce and Office 365, enterprises will adopt a broad range of cloud-based IT solutions from leading software companies like IBM, Oracle and SAP. Private cloud infrastructure will be a fixture in the hybrid multi-cloud end game, for applications requiring physical security or whose performance could be impacted by variable throughput and latency in the “best effort” Internet. Private cloud infrastructure will be located either in an on-premise data center or a shared hosting facility. In addition, well into the endgame, IT managers will still be tasked with maintaining traditional data centers for legacy applications and databases, and it is likely they will be required to provide access to these from new applications deployed in public or private clouds. In such highly complex environments, it is obvious that many things can go wrong, and will. Therefore, enterprise IT managers need to prepare by acquiring the right tools and learning the new skills needed to win the hybrid multi-cloud end game. Properly equipped, DevOps, NetOps and ITOps teams will be able to rapidly detect and determine the root cause of performance anomalies and failures when they occur so they can take the necessary remedial action. What will happen when users report that an application seems “too slow”? Let’s take a quick top-down look at some of the potential hybrid multi-cloud problems and the tools IT managers will need to solve them. At the highest level, DevOps teams will need to monitor the performance of highly dynamic applications composed of microservices distributed across many servers and racks but could also be running in multiple data centers operated by different cloud providers. Performance monitoring tools must be able to map the topology of these applications and measure the performance of each component. DevOps teams also need tools for monitoring the performance of the underlying computing infrastructure, including each layer in the supporting software stack. If the application and infrastructure layers are performing properly, then it is likely the problem is somewhere in the network. But in whose network? Is the performance anomaly in the cloud provider’s hyperscale data center network? Or perhaps the CDN the cloud provider is using? Or maybe it is in the Internet somewhere along the path application flows are traversing across multiple peering and transit networks? NetOps teams need tools for gaining visibility into these various networks to determine the root cause of performance problems. Network monitoring must also provide end-to-end visibility into paths that traverse both public and private networks. SD-WAN monitoring requires visibility into a combination of both public and private underlay network connections utilized by the SD-WAN overlay. Consider what will likely be a common scenario, which is private cloud applications running in a hybrid SD-WAN based on an existing MPLS backbone but utilizing broadband Internet connectivity for remote sites and users. In this environment, IT managers need a toolset that enables them to clearly delineate between private cloud application and infrastructure problems vs. network layer problems so they can quickly zero in on the root cause. There is no doubt that hybrid multi-cloud IT applications will be complex to deploy and manage, but the good news is that smart people are working on innovative solutions to the critical problems. We still have a long way to go before reaching the end game, so now is the time to start preparing and educating yourself on the new tools and techniques needed to execute a winning strategy.